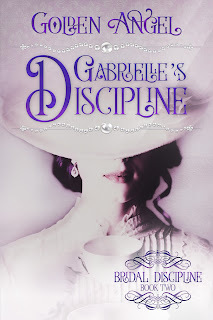 Love, Lust and Rambling: New Release - Gabrielle's Discipline! 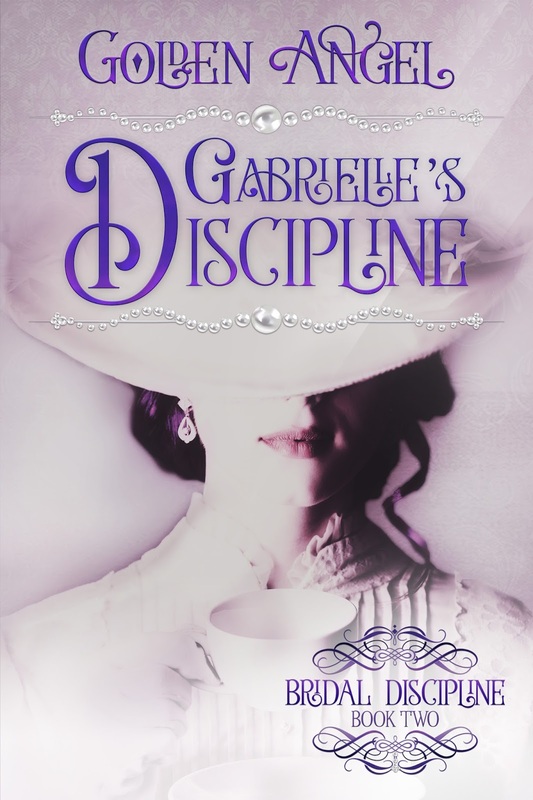 New Release - Gabrielle's Discipline! It's up! It's here! Enjoy! To escape the scandal of trying to elope with an unworthy man, Gabrielle finds herself married to the man she loves - a charming rake and her guardian's best friend, Mr. Felix Hood. He's the third son of a Viscount, he's darkly handsome, and he's in love with her stepmother. Or so she thinks. Felix Hood had been fighting the urge to be leg shackled ever since he met Gabrielle Astley, but once her honor was at stake, he knew he'd rather die then allow her to marry someone else. He's not a perfect man, and he has no experience with being in a relationship, but he's determined to make his marriage work, even if he has to spank his fiery bride daily to do so. They retreat to the countryside immediately following their wedding, where Felix hopes to strengthen their relationship before they return to London for the end of the Season. To his delight, Gabrielle turns out to be everything he'd hoped in private - he's submissive, passionate, and responds beautifully to even his darkest desires. But what will happen when they return to London Society? Gabrielle is determined to replace her stepmother in Felix's affections. She's been through a multitude of changes in her life, none of which have ended particularly happily for her, but she has to make one last try - because, after all, she's married to him for better or worse, till death do them part. To her surprise, once they're alone, he seems to return her regard and she blossoms under his discipline and care... but will he still feel the same when he's faced with Cordelia, Gabrielle's stepmother again? Step into a world of alpha males, spankings, very steamy situations, and domestic discipline. Gabrielle's Discipline is approximately 90k words and is a standalone within a series, complete with a HEA for the couple. Gabrielle and Felix's story began in Philip's Rules and was further explored in Undisciplined, however it is not necessary to read either book to enjoy this one (although it is encouraged for a deeper understanding of the characters). I'm just wondering why it's 3.99 on smashwords. I thought it would be 2.99 for the first week. Hello! It actually ended up be released on pre-order early - but I did not make the announcement everywhere so I'm going to go ahead and change the price on Smashwords for this week back to the preorder price (because that's on me that I didn't make the announcement about that on every platform available to me). Next time I'll make sure to spread it around everywhere if it's available for pre-order! If you've already ordered it on Smashwords, you should be able to return it and then reorder it with the new price.